Spawn On is a voluntary initiative to help preserve Alaska's King Salmon fisheries by practicing "catch and release" sport fishing. Brek Burns and Jeremy Hawk from Mendocino County California fishing on the Olympic Peninsula in Washington. 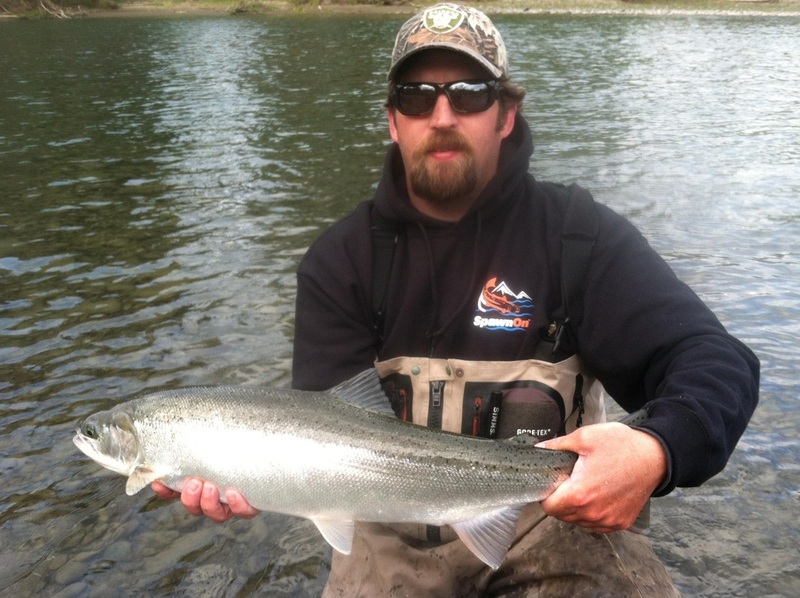 81 steelhead landed in 5 days and every one spawned on. Make yourself famous and spread the love! Got a "Spawn On" catch and release photo you would like to show the world? Submit here and tell us your story - what, where when - and we will add it to our Wall of Fame. SEE THE WALL OF FAME!